This Battery Status Indicator uses a LED display to give a visual indication of the battery condition. At switch on, the LEDs on the Battery Status Indicator light to indicate the status of the Battery. 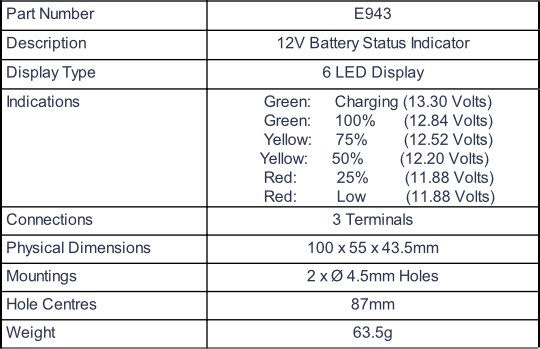 The Battery Status Indicator then continues to monitor the battery voltage and changes the LED indication accordingly. 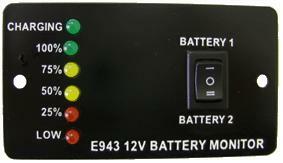 The centre off switch allows the Battery Status Indicator to be switched between two batteries or off, thus preventing wasteful discharge when the monitor is not being used.